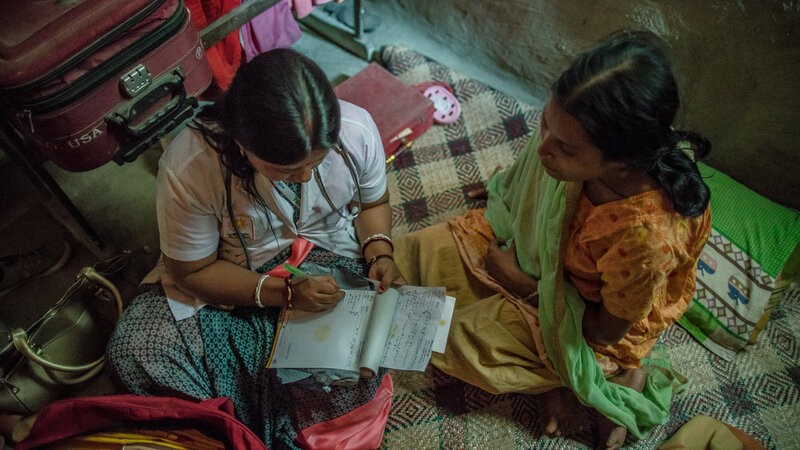 Growing up, Shanta's mom used to tell her the story of the first time she gave birth. She was in labor at home for four days. At the time there were no hospitals nearby. The child didn't make it. "If he survived, I would have an elder brother now," she reflects sorrowfully. Instead the weight of supporting the family fell on her shoulders as the eldest. "I didn’t want any mother to lose her child like this. From there I decided to become a health worker." She worked hard for three years to complete her midwife training at the Midwifery Institute in Chittagong, Bangladesh. 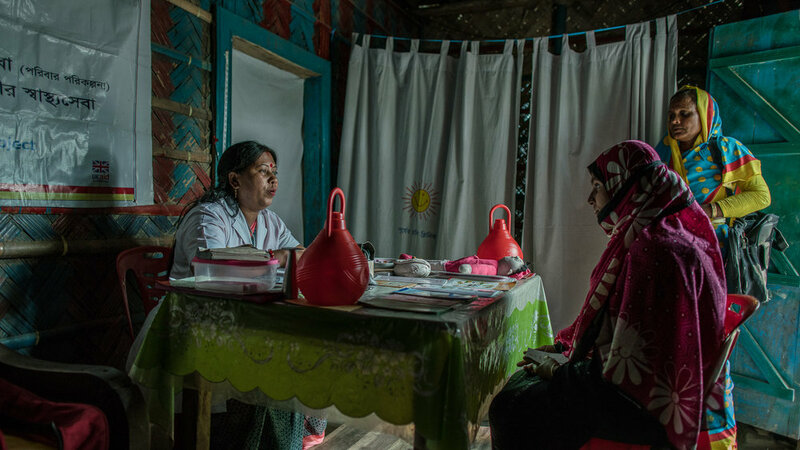 Now as a paramedic Shanta provides health services to mothers and children at Smiling Sun Clinic in Chittagong. There she conducts checkups for pregnant women, delivers babies, and follows up with after delivery services. She also counsels women on proper nutrition and monitors their children's growth. The clinic also offers vaccines and help with family planning. Shanta received additional training on maternal and child care from USAID where she learned a number of new techniques including the importance of the golden minute. "The first minute after delivering the baby is called the golden minute," she explains. "The child needs to be wiped and dried and given skin-to-skin contact before being wrapping up to stay warm. After that the baby needs to be breastfed from the mother through skin-to-skin contact. Then his respiration and color need to be checked. I didn’t know about these things. But after receiving the training, I have given such care to a lot of babies." Over the last 16 years, Shanta has performed more than 7,000 deliveries. Once she delivered 12 babies in one night. Shanta says, "Even if there are 10 to 14 deliveries taking place in the clinic, I remain calm and keep on interacting with patients with a smile." Patients tell her that her smile makes them "feel half-recovered." "My patients are everything to me," she says with tears in her eyes. For those who live far from the clinic, they have satellite clinics that Shanta visits on a regular basis. She also visits mothers households if they fall ill and can't make it to the clinic. "At the end of day when I go home from work, I feel really good because my daughter says she wants to be like me." 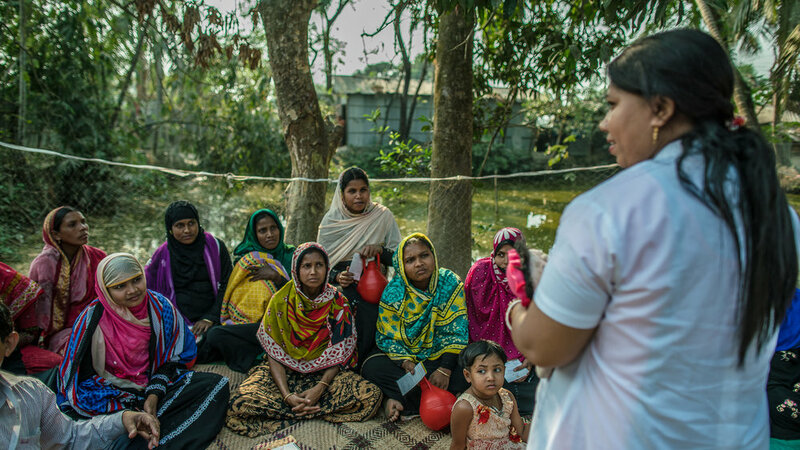 USAID's INVESTMENTS IN CHILD AND MATERNAL HEALTH HAVE HELPED TO DECREASE CHILD MORTALITY IN BANGLADESH BY 40%.